Average ticket prices across Britain will go up by 3.4% on January 2, industry body the Rail Delivery Group (RDG) has said. Passenger watchdog Transport Focus compared the news to “a chill wind” blowing down platforms as many passengers’ incomes are stagnating or falling”. One in nine trains (12%) failed to meet the rail industry’s punctuality target in the past 12 months. The Rail, Maritime and Transport (RMT) union described the fares announcement as “another kick in the teeth” for passengers. General secretary Mick Cash said: “For public sector workers and many others in our communities who have had their pay and benefits capped or frozen by this Government, these fare increases are another twist of the economic knife. The Government uses the previous July’s Retail Prices Index measure of inflation to determine increases in regulated fares, which was 3.6%. 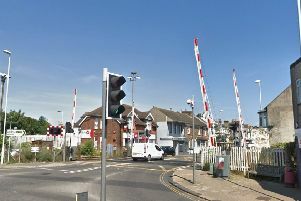 Chief executive Paul Plummer noted that the Government controls increases to almost half of fares while the rest are “heavily influenced” by the payments train companies make as part of contracts to run franchises. Office of Rail and Road figures published in October showed that £4.2 billion of taxpayers’ cash went to the rail industry in 2016/17. Taking inflation into account, this is down almost 13% on the previous year but more than twice as much as British Rail used to get before the rail network was privatised.